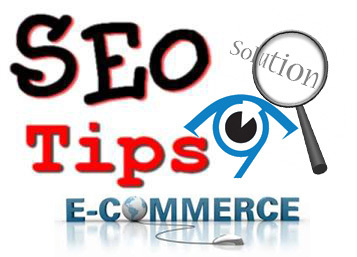 E-commerce site owners need to be proactive, and implement non-standard decisions to be in TOP of the search results. In a highly competitive environment is not so easy to achieve the success, so owners have to spend plenty of time, searching for the best solutions that will lead their site to commercial success. At the current level of the market saturation, it is particularly important for businessman to optimize his site for SE and stay ahead of the competition. If you want your site to provide an effective interaction with users, you should consider some SEO techniques for ecommerce websites. Selection of targets and methods of SEO is done on the basis of forecasting – predicting of human behavior based on the past experience. Evaluating a query or a landing page, you estimate human behavior as well. Scoring, segmentation, clustering, regression analysis – these tasks of predictive analytics help to solve dozens of different issues. It is necessary to assess the searches to identify those, for which you can get a quick result with minimum costs. Finding the best queries (what queries should be promoted to get the maximum amount of targeted traffic with maximum conversion rate at lowest cost). Audience analysis (how to select a target audience with maximum conversion rate and average check above 80-100%, grouped by gender, age and interests). Finding the best products (what products need to be advertised and using what requests it’s possible to earn maximum profit). Costs of optimization (how to reduce the budget for the reference weight and what requests should be excluded from the content due to the low conversional rate). Scoring (how to assess the risks of customer care on historical data and rank the effectiveness of SEO experts). 100% of the commercial sites have products that are more profitable than others, or need to be sold quickly. There is always a line of service or category of goods which subject to Pareto law (small good that provide basic income). Business analytics is focused on: 1) the identification of all goods and services, requests of which have demand, conversion and fault tolerance; 2) finding queries with minimal efforts, schedule and budget, that produce maximum result. Goods popularity determines its demand and number of visitors. Conversion rate. The more the conversion – the higher the sell probability. The more people are spending money on advertising – the more the request competitiveness. Profitability rate. Products with good profitability rate are always a priority for the sales. Fault tolerance. The product should not only convert to an order, but also turn into income. Current position. To promote product with requests that are within the top 20 is much easier than to promote one with requests outside of top 100. Resource field. To form a strategy, check competitiveness of the site theme, size of semantic core, presence of seasonality, etc. Site age. It’s impossible to promote a new site quickly on the popular competitive commercial requests. Previous history of development and promotion. Site structure. You should check if the site structure corresponds to the search demand. It is useless to promote the site on geo-depending requests in another region. Use popular and well-developed CMS (f.e., WordPress with its plugins) in order to hire and change site personnel easily, as well as to add new features. Make the site as simple and understandable as possible. Be sure to check successful competitors’ sites. Prescribe questions that may arise to the customer and give the detailed answers. Think about what actions people should make to contact you and to order the product. Fill the site with quality content. To inspire confidence, tell about your company as openly as you can. Put accents – links, advertising banners, news that lead to the important sitepages. Test all the interactive features (proper feedback work, emails delivering, leaving comments without any difficulties, etc.). Follow all the technical adjustment for SEO (sitemap, robots.txt, redirects, elimination of duplicates). If it’s necessary – hire a programmer. Install counters and connect site to the webmaster systems. Set your goals. Brand your website to develop your brand. Methodically and systematically fill the site with quality content: new products, news, articles, graphics, images, videos. Draw ideas from the analysis of your customers needs. Optimize your content: fill a unique SEO tags title, keywords and description for each page, make page layouts, as well as lists, headings and image optimization. Use text relink. Construct a complete semantic core and distribute queries through pages. Make a plan for new articles under the requests that have no relevant pages. Register the site in white directories in your region or country and place ads on the most-visited message boards. Analyze the competitors’ backlink profile (it’s quite important to select right site and tool for analysis). Choose quality links, use exchanges. Better start from buying links on the most trust sites. Monitor the conversion dynamics and the presence of technical problems. Use text advertising for sale, as well as the rapid collection of statistics on the most conversion requests. 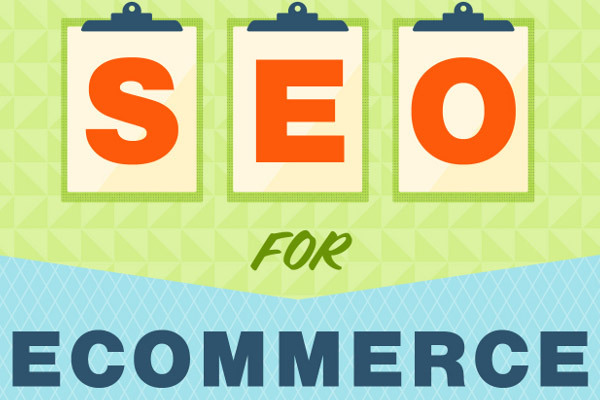 This data is used to adjust your ecommerce SEO strategy. Active site promotion to the top. 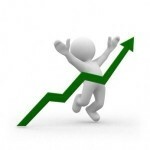 Gradually increase the backlink profile. Buy commercial anchors, but remember that main thing is not quantity, but quality and variety of donors. Connect links to articles from news sites, forums, social networks and services. Continue to fill the site content, optimize new pages and create video. Develop site profile in social networks. Introduce more marketing: Improve service, discount and bonus systems, preferences for registered and regular visitors. Create reasons to visit the site (competitions, free gifts, interesting articles for discussion, etc.). 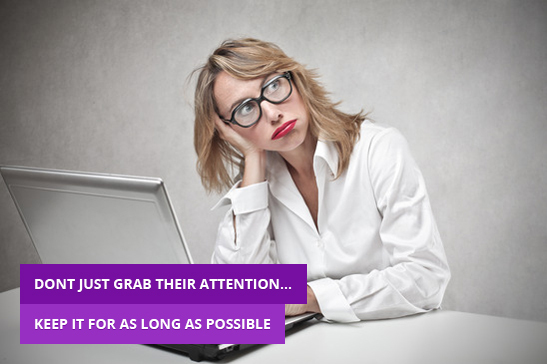 Pay more attention to analytics: study traffic channels, queries, online behavior. Customize retargeting in case of use content and target advertising. Marketing competition. If you move confidently to a better search position, then sooner or later you will be faced to a fact that like all the requests are already written and all the links are already purchased. So what to do from this point? Develop site functionality: add bonus information or functional modules (some interactive “chips” – calculator, scheduler, tests), forum, directories, ads board. Implement your own affiliate program. Create an email newsletter: build sales through a series of sales letters. Occupy third-party trading platforms: auctions, discount clubs and so on. Use additional methods of advertising: banner ads, teaser advertising, PR articles on information sites, viral marketing, your own mobile app. Announcements of publications – to reflect the new materials of the main site (subscriber sees that you have a new material). Increasing site traffic. Interesting announcements can increase transitions to the site. What is more important – the search engines believe that the hybrid traffic (search, sites, social networks) is an indicator of quality of website promotion, so this site is worthy to appear higher in the search results. Post interesting (provocative) content that stimulates discussion. Reference factors give signal to the SE to assess the site importance level among others. Quality backlinks is (and always will be) an important condition for promoting of any site, not only the commercial one. If you are referred by a reputable thematic site, it is likely that your site has a high credibility and it is well positioned. If you are referred by a lot of reputable high traffic sites – you’re moving in right direction. Finding of suitable sites is quite time-consuming, so businessmen prefer to entrust this field to authoritative services. 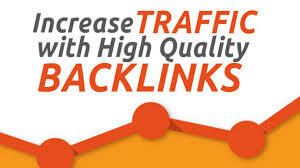 LinksManagement offers quality help with building your backlink profile. Search engines are judges, who judges billions of documents on a daily basis for the right to get into the top 10. Backlinks give authority, so they are necessary in any case. What kind of backlinks do we need? You can split backlinks into the 2 types: SEO and non-SEO. The first group is used to manipulate the SE, and the latter – to improve the backlink profile. As for the manipulation – it’s too risky, so you can get sanction from SE at any time. Backlinks quality. Anchors should be natural. Links should be fully integrated into the surrounding content. Quality of donors. Good donor site should not contain spam and should have a high set of quality indicators. Number of links. It is determined individually for the project, but should be such that allows the subjects. Donor theme correspondence. Links for industrial engineering from a thematic animals-oriented site will not give the desired result. Links cost. Buy only quality links. Naturalness. 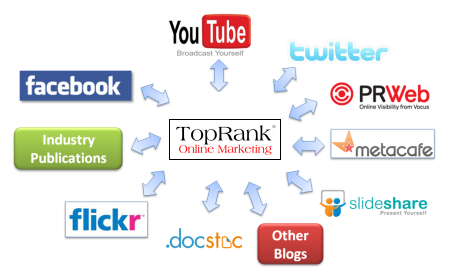 It is important to have a reference profile with natural backlinks from forums, blogs and directories. Increased credibility. The site collects credibility in the eyes of search engines. Increased traffic. Good references always attract target visitors. Increase recognizability (due to the growth of citation index and number of interactions through the website). Budget optimization. Budget cuts up to 40% by buying only quality links. Reduction of risk to be filtered be SE. Fast results. Good links with high traffic work immediately. Choosing a domain name. When it comes to domain choosing, take domain name that will allow your costumers to find your business easily. Many owners choose a domain based on keywords, but the effectiveness of such an approach is questionable. Domain hosting. Make sure that your domain registration term is not expired, as sites with ending registration period are less trusted by SE. Try to choose a long-term hosting. Also, choose the national domain zone for your site: e.g., if your target audience is the UK, choose the domain zone co.uk. URL Optimization. Permanent URL with keywords looks better. Existing URL can be changed or replaced by more oriented ones, using relevant keywords. 301 redirect. 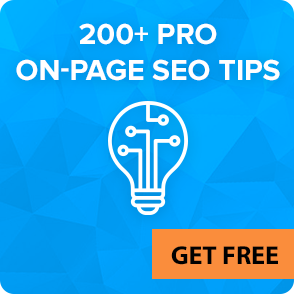 Set up 301 redirects on e-site: it allows visitors to be redirected to the new pages (from one URL to another), so you do not lose weight reference and visitors from remote pages. Canonicalization. Applied to those pages that can be downloaded from several different URLs, and allows to avoid content duplication. Canonicalization ensures proper indexing and ranking of content, available from different URLs. Sitemap.xml and sitemap.html. The first one is for the SE, and the second one is for users, so that they can easily navigate your site. Sitemap.xml helps Google and other SE to view, analyze and index your site. Robots.txt. Using it, specify a URL and folders on the website, which shouldn’t not be checked and indexed by robots. Use this tag if you want to hide some important personal information. W3c check. W3c checks the validity of the markup and shows you errors. Binding site to GWT. With GWT you can check your site by the means of Google. Proper Title and Description. With these, metatags owners of e-commerce sites provide customers with detailed information about their products. Insert meta tags in the <head> of HTML-pages. Metatags should contain interesting titles and descriptions to attract users’ attention. Headers tags (H1, H2, H3, etc.). These tags allow users to identify what content page is dedicated to. Through H-tags users can easily orient on your site. Alt-description. It should be included to the tag as the alternative description for users of screenreaders. Without alt-description, SE hardly understands the purpose of the images. 3) related products: put a list of goods similar or related products on the page to draw attention to other products on your site. Latent Semantic Indexing. Allows to identify words, sentences and phrases in a document, associated with each other. SE use LSI at search analysis. Search-oriented navigation structure. To optimize your site for SE, provide a convenient navigation structure both for SE and visitors. E-commerce site owners should pay attention to site map and logo, as well as avoid any references in the form of images. Social sharing. Be sure to post social buttons. Place them on easy-to-find places. Facebook and Twitter buttons have gained much popularity in the market. Google Analytics. This tool provides statistics on the number of visitors. GA is completely free and works well both for small and large businesses. Strictly follow the requirements of the language, not SEO. Sometimes entered search queries sounds incorrectly: you don’t need to use them in accurate form, as it would greatly decrease the unnaturalness of the text. Avoid various linguistic techniques that allow to list all target queries at the beginning of the text: SE identifies it pretty quickly. Start paragraphs with key info, try to maintain “a minimum water content” concept. Facts, cited in the text, shouldn’t be clothed with superfluous words in complex forms, as it causes reader’s fatigue. Simply describe the fact, using minimum number of words with the highest number of pledged sense. In other words, text should be optimized in the literal sense, containing much semantic load with a minimal number of characters. You have to understand that potential buyers do not read the text – they just browsing, catching the eye on the targeted fragments. Focus on headers. Headers do not have just to be, they have to be understandable and sell-oriented, as they occupy up to 75% of visitors’ attention. In terms of SEO for online store, the main title should be single, marked as H1. Subtitles can be multiple, marked as H2. Html language has 6 levels of headings – from H1 to H6. All of them (H1-H6) should be different on the size of the font in order to visualize the document structure. Do not mark all headings as H1, making a different font size by means of CSS. There is no optimal number of sub-headings. H2 can go right after the H1 (without separation of the text), as well as the H3 can go right after H2, according to the logic of the document. Use headers, which encourage visitors to commit a conversion action (add to cart, phone calls, filling in forms, etc.). Title keywords should not be unnatural or banally listed. Size, formatting and keywords in text should be much shorter that you use in any paper versions (brochures, catalogs). They should just reflect the basic essence. Your creed should be simplicity and literacy of text presentation. Editing should be carried out wisely: each paragraph must contain a complete thought. If you have more than three paragraphs, it is prudent to start using subtitles. Lists greatly increase information presentation: bulleted UL or numbered OL – all list-style properties can be easily changed with the help of CSS. As for the text size for SEO ecommerce category pages, it should be within 2000-3000 characters. But this is precisely the parameters derived basing on usability (readability), not SEO. As you can see, some moments are conventional and relative, but still commercial sites should reduce data volumes (without loss of quality and content), comparing with what is printed. The perception of information in the Internet is completely different, so SEO for ecommerce product pages differs, as well as it costs. To calculate possible expenses, use SEO calculator for free.